Trained as an architect, Leo van den Burg was introduced to the Dutch tradition in urban planning through his work in practice. At Delft University of Technology, he coordinates the design track within the bachelors education and is design teacher in a variety of courses. Leo has contributed to research programmes on the development of the Dutch Randstad and Southwestern Delta. He has curated two large exhibitions on Dutch Urbanism and (co-) edited a number of books on various topics related to urbanism and urban analysis. Presently, Leo acts as departmental director for blended learning. 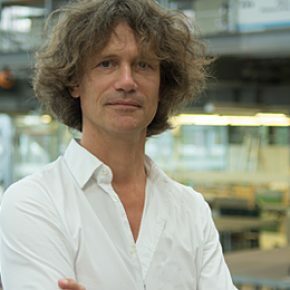 He is firmly rooted in the typical Delft approach to design: contextual and multi-scalar. In his teaching, Leo stimulates an open and experimental approach to design in which research and design activities constantly run parallel. This to-and-fro, he also tries to include in blended learning: short methodical exercises supporting intuitive design statements – and vice versa. His personal interests include ancient cities and house typologies throughout history. Urban design, analysis techniques (typo-morphology), the dividing line between urbanism and architecture. The building in its urban context, history, the structure (and development) of the Dutch city, small villages in the west of the Netherlands.